Imagine you’re in a dream. You’re 5 years old and in the middle of a crowd of kids. You are dancing and sing…screaming all together and you’re clearly the star because everyone is cheering you up. “What is happening?” you may ask. Easy! Yep, that’s true. Doesn’t matter what your Facebook says, 26th March is your birthday… and yours… and yours… It’s everyone’s birthday! 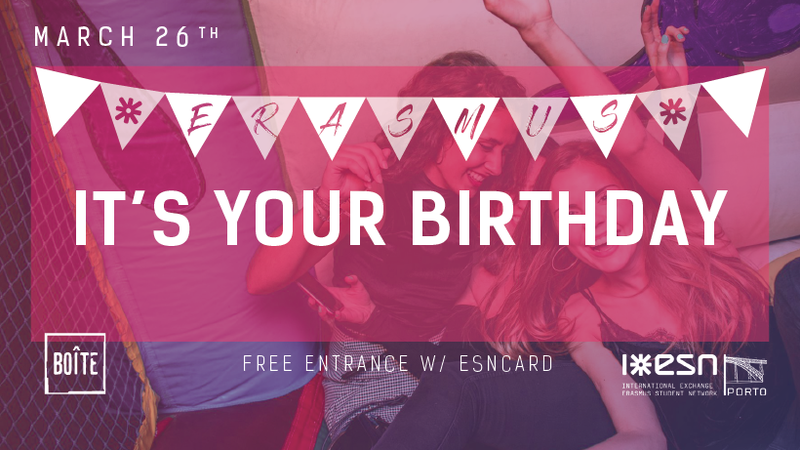 ESN Porto wants to make up for all the birthdays we weren’t able to celebrate. Did we miss yours? This party is for you! Free Entrance for ESNcard holders. This is a private party and the right of admission is reserved to ESN Porto.